Yeah, we know it’s Halloween but let us skip ahead in the holiday timeline and present to you the first Christmas song of the season, courtesy of Mr. Rod Stewart. This is much scarier than anything else we could come up with for today! Repost: Why do all this stuff again? Monsters are misunderstood – it’s tough to frighten people and terrorize the countryside day in, and day out. 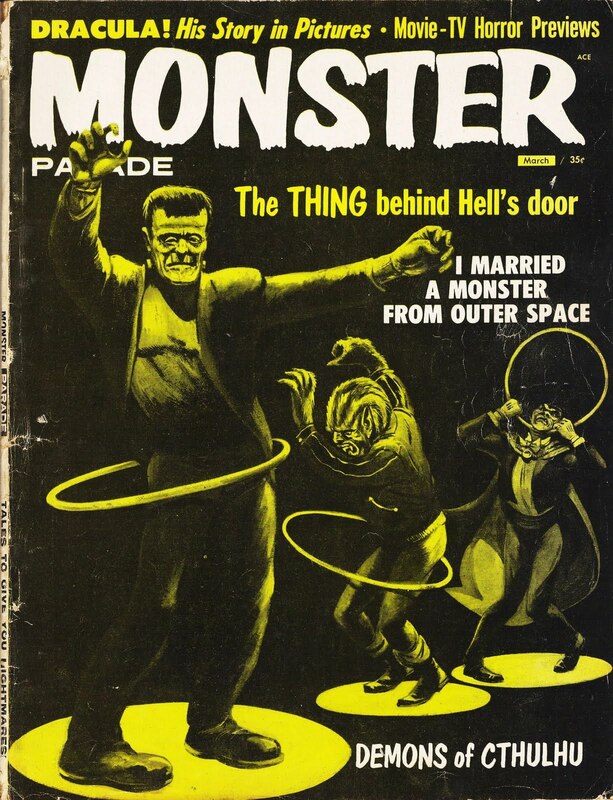 Surely monsters have to unwind; as the magazine cover suggests, they may enjoy a little recreational hula-hoop activity. Or they may just like to rock out. 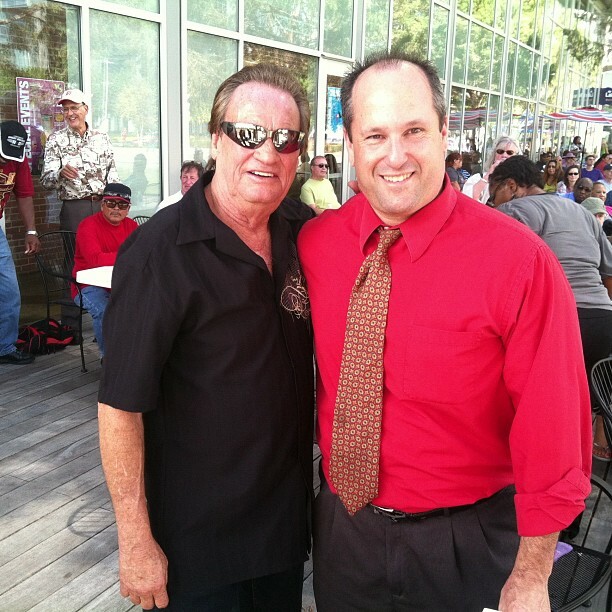 Roy Head, left, with George Kovacik of 30 Days Out. Lunch time in Houston, Texas. 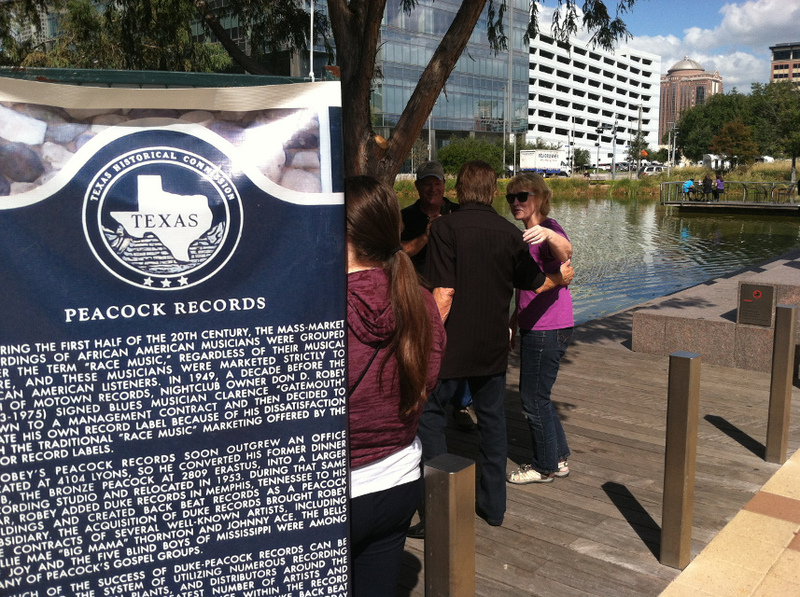 It’s called “Blues and Burgers” and they have it every Wednesday at this park in downtown Houston, Discovery Green. People stagger out of their skyscrapers for lunch, and local musicians perform for about 90 minutes. Lately the Blues and Burgers shows have been spotlighting music from local record label Duke/Peacock, which was operated by entrepreneur Don Robey in the 1950s and 1960s. And today we were privileged to see a true local legend: Roy Head. People swarmed Roy Head (in black, back to camera) as soon as he left the stage. Head had a monster hit in 1965, “Treat Her Right,” which went all the way to No. 2 on the pop charts. Produced by equally legendary Huey P. Meaux at Houston’s Gold Star studios, the song appeared on the Back Beat label, which Robey launched to appeal to the pop music audience. The 69-year-old Head played that tune as the climax of his sweaty (yeah, it’s hot in October) four-song set on Wednesday. The man is still a dynamite performer: he leered, he growled, he drop-kicked his mic and caught it in the air. He’s certainly a live wire, and once he came off the stage he was rushed by well-wishers, hand-shakers and people who were just in awe. Like us. The Blues and Burgers shows are presented by the hard-working folks at the Houston Blues Museum, which seeks to preserve the Houston blues heritage. Some of the blues’ best practitioners were born and/or produced their best work here: Lightnin’ Hopkins, Joe “Guitar” Hughes, Johnny “Guitar” Watson, Billy Gibbons and Bobby “Blue” Bland, just to name a few. They are currently fundraising for a real blues museum in Houston – they want to start with a virtual museum then eventually graduate to a brick-and-mortar one, we suppose. Click here to donate; the first 1,000 donors will get a special certificate of appreciation. We can’t think of a better, more worthy place for a blues museum than Houston. That city down the road in central Texas may get all the attention when it comes to music, but H-Town is a great American music city, too. Just ask Beyonce, that little ol’ band from Texas and the Geto Boys. And while you’re at it, don’t forget the great Roy Head. By the way – in the span of three weeks, and within a few hundred yards of each other, we will hear the song that kept “Treat Her Right” out of the No. 1 spot way back in 1965, performed live by its writer and singer. That would be “Yesterday,” which will most certainly be performed by Paul McCartney at Minute Maid Park on Nov. 14. Take that, Austin! Face it – rock and roll isn’t that scary. Unless you’re an uptight parent, or some kind of preacher. Rock music about Halloween, and the stuff that comes with Halloween, is goofy and funny, but it isn’t frightening. Although I must admit, I got a bit of a fright the first time I saw Adam Lambert perform … but thankfully that’s not rock and roll. Or is it? Bwahahahaha! Back in the day, there was Alice Cooper. He had an act that involved boa constrictors, decapitating baby dolls with a guillotine (or something) and an electric chair. Alice also had Top 40 hits – “I’m Eighteen,” “School’s Out” and “No More Mr. Nice Guy” among them. Successful, certainly; entertaining, probably. But scary? No. 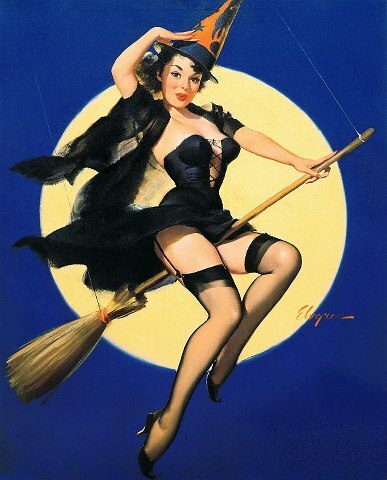 Repost: I tell you one thing: as a kid, if I’d gone up to trick or treat at a house and Elvira answered the door … I would have been pretty, ah, scared. Looking at the photo, I’m pretty sure I would have the same reaction today. Sorry, we’ve been a little into our day jobs lately – that, and listening endlessly to Neil Young. So we just noticed Halloween’s a few weeks away, and that is always a great opportunity for some cool rock tunes. So here you go – don’t be scared! Certainly one of the highlights of last weekend’s Austin City Limits Music Festival was the scorching performance by Neil Young & Crazy Horse. He front-loaded his set with a handful of new songs from his upcoming double album, Psychedelic Pill, out Oct. 30. This one, “Twisted Road,” he performed acoustically at ACL, but here it’s in its full electric glory. You are currently browsing the 30 Days Out blog archives for October, 2012.